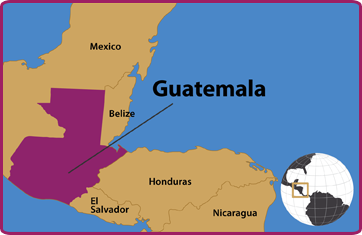 Guatemala | Global Disability RightsNow! In order to continue with the process of implementing human rights of people with disabilities from the social model in Guatemala, participation from all segments of society is needed. Join the movement! The RightsNow! project is honored to work with disability leaders, advocates, and allies in Guatemala to strengthen communities through disability rights implementation. Guatemala, through the legislative decree 59-2008 signed the CRPD in 2007 and ratified the CRPD and Optional Protocol in April, 2009. At that time, the National Council for the Attention to People with Disabilities (CONADI) was designated as the government agency responsible for coordinating, advising, and promoting the implementation of public policies in compliance with the CRPD. As with many other RightsNow! participating countries, Guatemala has a disability law (1996) and has acceded to regional and international instruments guaranteeing disability rights. However, the general anti-discrimination provisions are not enforced and there are no specific prohibitions around disability discrimination in employment, education, health care, and other services. Key issues for Guatemalan disability rights advocates include the harmonization of local laws with the CRPD; de-institutionalization, particularly of people with mental and intellectual disabilities, most of whom are shut away in public and private institutions; access to information, communication, public places, and transportation. Guatemala is at a critical juncture in its disability rights history. Coalitions and networks have been working together to harmonize Guatemalan domestic legislation with the CRPD. At the beginning of 2016, a bill was presented to the Legislative Commission on disability issues. It is currently under consideration (No. 5125) and it needs to be urgently approved. The new law would replace the 1996 Law on the Care for People with Disabilities (135-96) and would bring Guatemalan legislation into greater compliance with the CRPD. To date, the law has not been adopted. Disability-led organizations, policy makers, legal experts and civil society actors are actively addressing disability rights and domestic harmonization issues in Guatemala. They are engaging widely with civil society to identify solutions to guarantee full inclusion of disabled citizens in Guatemala through effective implementation and enforcement of existing laws and policies. The RightsNow! 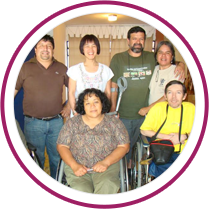 project welcomes all people to become actively involved in moving the disability rights agenda forward in Guatemala using the tools and resources made available in the Global Disability Rights Now! resource center. July 2016: MIUSA partnered with Independent Life Collective of Guatemala (El Colectivo) to conduct project activities in Guatemala. El Colectivo is an organization of women and men with and without disabilities who promote actions to contribute to the transformation of the perceptions, attitudes and social participation of people with disabilities in Guatemala. October 2016: The RightsNow! team conducted a 5-day introductory visit to Guatemala City to identify key thematic areas to focus on regarding the Law on Persons with Disabilities of Guatemala and implementation of the CRPD. The U.S. experts met with a wide range of stakeholders such as governmental actors, leaders of organizations of persons with disabilities and representatives of civil society NGOs that promote human rights actions. May/June 2017: RightsNow! sent a team of experts in disability rights and disability law to conduct a five-day training in Guatemala City with government representatives, lawyers and leaders from human rights and disability organizations. The group of cross-disability participants attended from Guatemala City, Sololá, Mazatenango, Quetzaltenango, Jutiapa and Chiquimula. Training topics included U.S. and Guatemalan disability laws, coalition building and political advocacy, disability discrimination, filing legal complaints and current legal cases in Guatemala. Also during the week, the team prepared Guatemalan leaders to conduct workshops in their own communities on disability discrimination and legal rights. June-September 2017: Twenty-six trainings were held in Guatemala City, Quetzaltenango, Sololá, El Progreso, Totonicapán and Suchitepéquez by trained leaders from the training held in May. These emerging leaders mobilized 464 people with disabilities, mothers and fathers of children and youth with disabilities and leaders in their communities who had little or no knowledge about discrimination and their legal rights, of the CRPD and of the Guatemalan disability laws before Congress. April 2018: RightsNow! sent a U.S. disability rights lawyer and Costa Rican expert on the CRPD to Guatemala City to conduct a three-day training on “Access to Justice for Persons with Disabilities”. The workshops were attended by judges, prosecutors and representatives of the Judicial Branch, the Ombudsman's Office, the National Council on Disability, the National Commission for Follow-up and Support to the Strengthening of Justice, the Bar Association, non-governmental organizations specializing in parliamentary law and members of disabled people’s organizations. Workshops included presentations and discussions about the CRPD, international best practices, personal testimonies of disability discrimination in the Guatemalan judicial system, and accessibility issues in the justice and public sectors. 2016-2018: The RightsNow! Consortium provided technical assistance to government officials and DPOs in the education, judicial and law enforcement sectors on disability accommodations, officer training materials, and the implementation of disability rights laws in Guatemala. The key resources below are available in Spanish. It is our intention to continue to provide additional resources in Spanish. Cómo Impulsar la Discusión sobre los Derechos de Personas con Discapacidad entre Instituciones Gubernamentales.